Willow trees are among the first trees to get their leaves in the Spring and the last to lose their leaves in the Fall. There are over 400 different species of willow trees throughout the world. Among them, the Black Willow is native to New Jersey, while the Weeping Willow has its origin in northern China. Both have slender green leaves from 3 to 6 inches long. In the Fall they turn a brilliant yellow. The tiny flowers on these trees are both male and female, appearing just before or at the same time as the leaves. The major differences between these two trees are their shape and their bark. The small branches on a weeping willow are very slender and smooth, hanging or drooping for long distances, almost rope-like, making its shape almost as wide as it is tall. Its bark is slightly furrowed. The branches are very dense making it a great shade tree. A mature black willow tree is upright, with a spreading irregular crown. Its bark is more deeply furrowed. 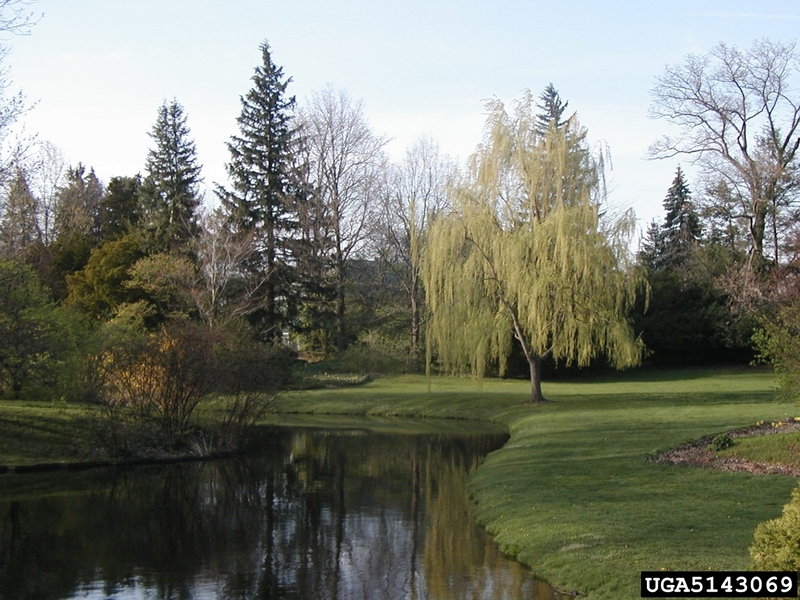 Both willows will be 40 to 60 feet high, growing as much as eight feet per year, and requiring lots of water. They can easily dominate a spot in your yard, and it is important to keep this in mind when deciding where to plant these trees. 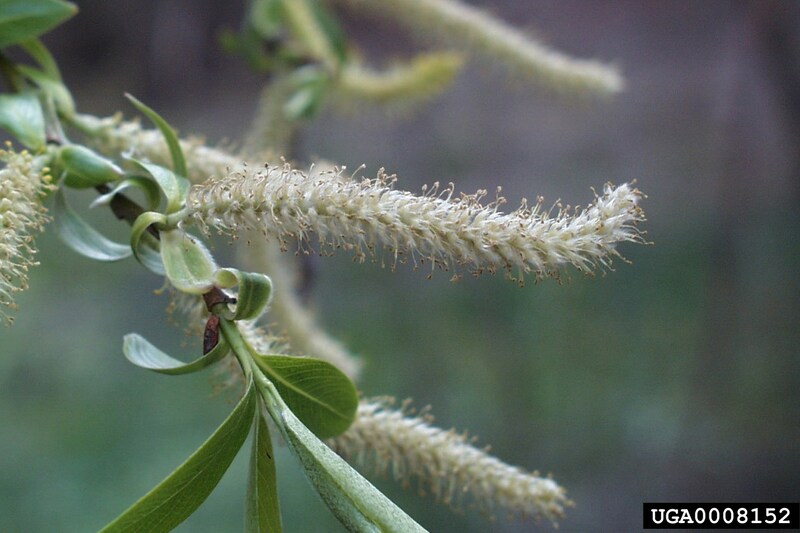 The milky sap of willows contains a substance called salicylic acid. In the fifth century B.C. Hippocrates, a physician who lived in ancient Greece, discovered that when willow bark was chewed it could lower fever and reduce pain. Native Americans discovered the healing properties of willow bark and used it to treat fever, arthritis, headaches, and toothaches. In some tribes, the willow was known as the toothache tree. In the late seventeenth century scientists identified and named salicylic acid. But because the acid caused the stomach to be upset it was not widely used till the late 1800’s when a synthetic version was developed that was gentler on the stomach. It was produced by a company called “Bayer”, and called “aspirin”. Why are there not more of these trees growing in our landscapes? Both need lots of water and their shallow root system will ‘attack’ any underground water lines, utility lines, and septic tanks. For this reason, they should not be planted any closer than 100 feet from your or your neighbor’s water lines. Another reason is the amount of work required to maintain the tree. The small branches on the tree can break off in stormy conditions, and a weeping willow needs to be pruned regularly to maintain its beautiful shape. Finally, we would be remiss in our overview of this beautiful species, if we didn’t mention their numerous ecosystem contributions. Insects of all types derive value from our native Salix species including over 400 species of Lepidoptera, which use the tree as a host plant. The long tube-shaped catkins are among the first to support native pollinators each spring providing much a needed source of nectar and pollen for honey bees as they emerge after long cold winters. And birds make use of the catkins and downy fibers of the seeds when making their nests. The tree foliage and twigs also support numerous grazing mammals such as beaver, rabbits, and hares. 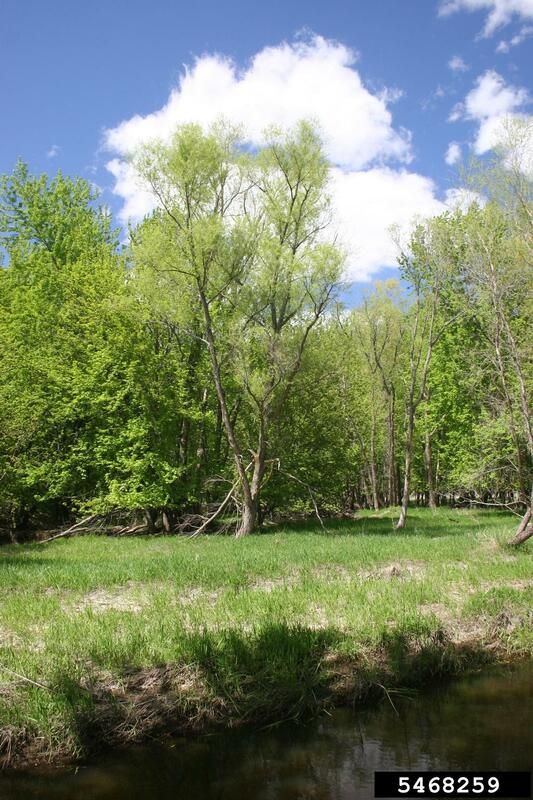 Finally, our native willows also serve as excellent soil stabilizers for eroding stream banks when planted to hold the soil in road cuts and embankments. In summary, willows make significant contributions to wildlife habitat and are a vital part of the food web for many species from the smallest microorganisms up through larger mammals. Assuming space and location requirements are met, a willow is deserving of a place in your landscape.